If you are a car owner, you would experience a breakdown or flat tire at once in your life. If you find yourself stuck with roadside then you should think to get out of this problem without roadside assistance or you really need it. Roadside assistance or towing is not always necessary, so before requesting for a vehicle rescue company, make sure that whether you really need assistance. Take a moment and follow these steps to ensure. If you find your car involved in a minor accident, still you have a chance to drive you safely towards garage or dealers. If you cannot drive your car anymore, then call for a local roadside assistance company or towing service to move your vehicle safely. A flat tire is a common problem that will usually occur in inconvenient time, so if you know necessary tools and how to change tire then you can save more time and money. Do really need Roadside Assistance? After assessing your vehicle condition, you could come to know the need of road side assistance. Flat tire and jump start are not an extremely hard to fix it, rather you could call nearby family member or friends. If you seek professional vehicle assistance, then before calling them, check your vehicle covered under warranty or expired one. Do really need towing ? Your car may be involved in minor fender bender, but sometimes the damage may be too severe and you really need some towing assistance to move your vehicle safely. 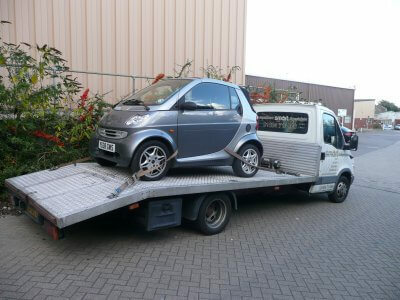 However before going with towing service, make sure that you have any membership in auto club. If so you can save money as well obtain timely help. There are some provision and right decision may avoid unwanted anxiety and high cost on roadside assistance. If you follow the above steps then you ll be likely towards the right path for your situation. ← Can Taxi Applications Reduce Drunk And Driving ?